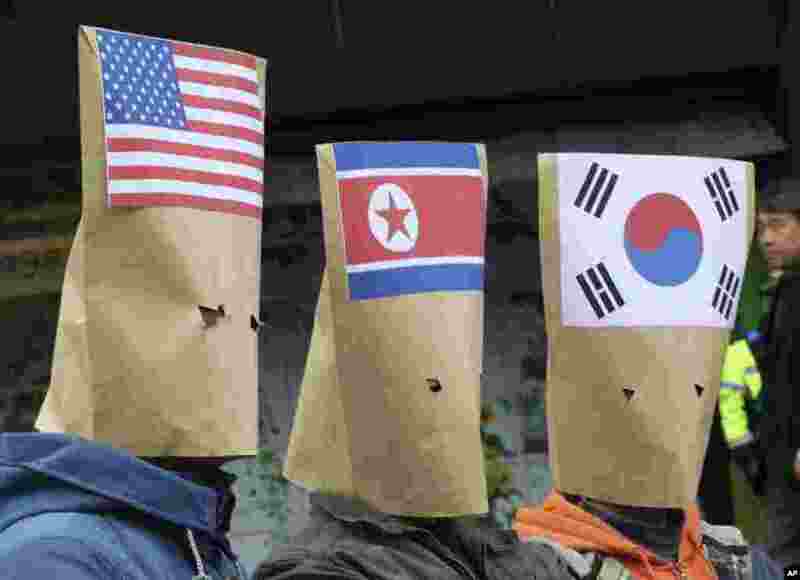 5 South Korean protesters wearing envelopes participate in a rally to mark Global Day of Action on Military Spending near the U.S. embassy in Seoul. The protesters demanded a peaceful unification of the Korean peninsula. 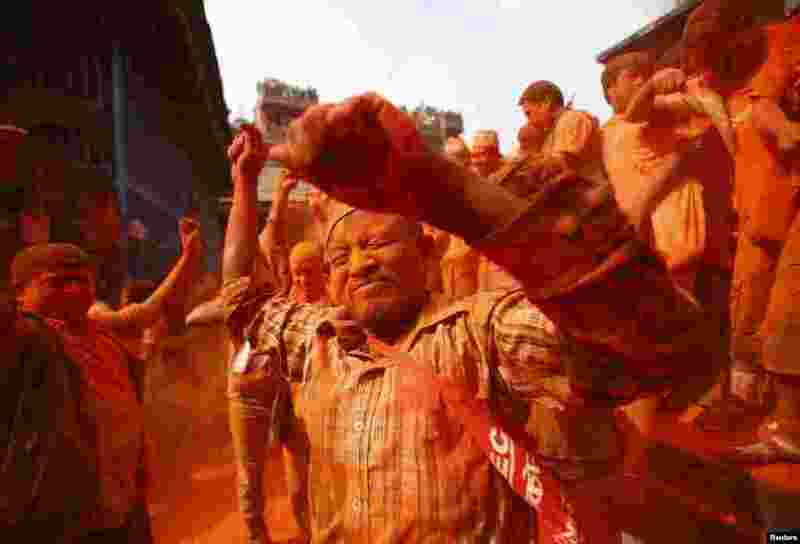 6 Devotees celebrate "Sindoor Jatra" vermillion powder festival at Thimi, near Kathmandu. The festival is celebrated to mark the Nepalese New Year and the beginning of spring season. 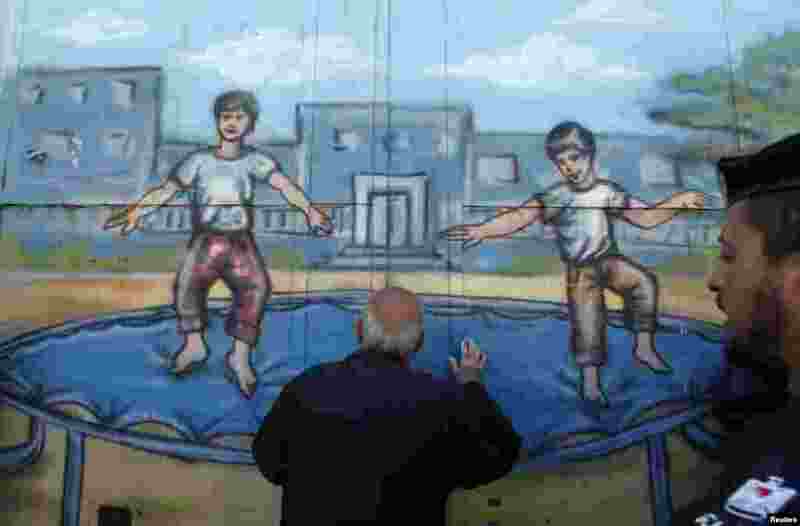 7 A Palestinian refugee looks through the gate of the United Nations Relief and Works Agency (UNRWA) headquarters during a protest demanding the U.N. resume financial aid for refugees, in Gaza City. 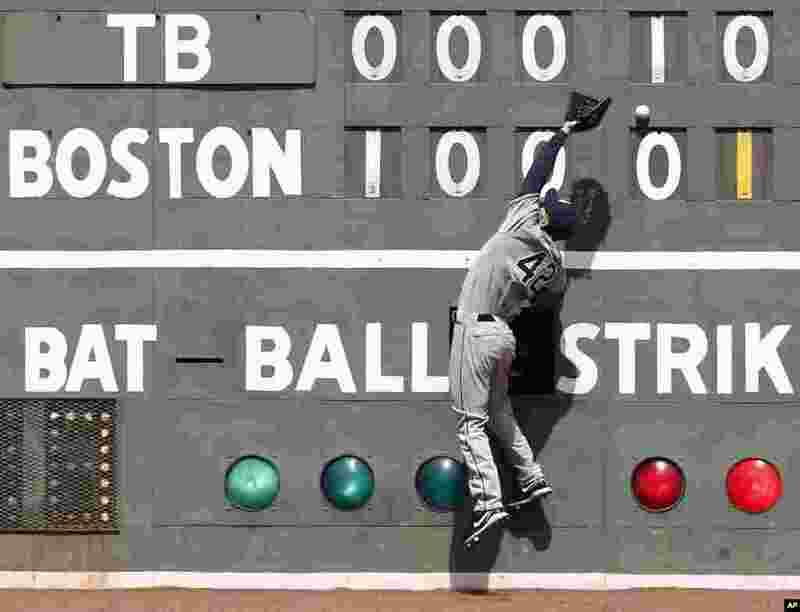 8 Tampa Bay Rays left fielder Matt Joyce can't get to a double off the wall by Boston Red Sox's Stephen Drew during the fifth inning of a baseball game at Fenway Park in Boston, Massachusetts.